If you're going to see a windmill in Holland you might as well see one with a brewery and sample room underneath it. 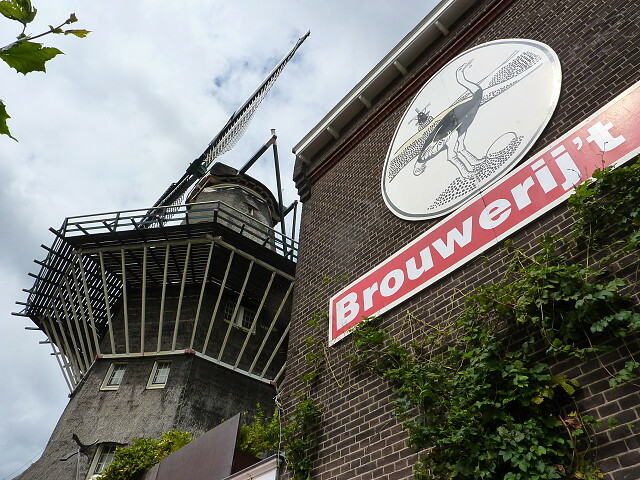 Here is the wonderful Brouwerij 't IJ next to the De Gooyer windmill in Amsterdam. Damn fine beer.